Rajan Nagendra – SPB – S Janaki defined an era in history of Kannada cinema. They gave us several beautiful melodies, many of which were covered in previous compilations. 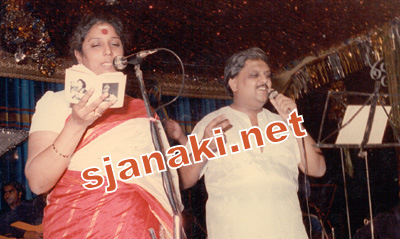 But, how can we ever forget popular melodies like “Aakasha deepavu neenu”/ “Bayasade BaLi Bande” / “Hosa Hosa Bayakeya Minchinali”/ “Mathonda HeLuve” etc..
We chose 50 such essential melodies which were not covered in earlier compilations as a special tribute to their melodious works together. Hope you enjoy these songs. Stay tuned for many more !